For the Portland Barbers baseball team and coach Joe Duran, it's business as usual. Duran guided the Barbers, an American Legion AAA summer baseball team, to their ninth consecutive league championship last week. The Barbers finished with a 28-10 overall record and 13-1 Area 2 league mark. Since founding the team in 2010, Duran has taken the Barbers to every state tournament. This week, they are are in the eight-team tournament at Legion Memorial Field in Roseburg. The tourney is Saturday through Tuesday and pits league champions and at-large qualifiers against one another. Oregon Legion Baseball is divided into four geographical areas. Area 1, which does not have a registered team this summer, covers the northwest corner of the state. The Barbers play in Area 2, which spans the Portland metro region. Area 3 is made up of teams from the greater Salem community and coastline, and Area 4 covers the southwest portion of the state. The only thing Duran has yet to accomplish as the Barbers' coach is to win a state title. The Barbers have posted a trio of third-place finishes and come in second twice. Should the Barbers win it all, they would become the first team to win from Area 2 since a team from Beaverton brought home the trophy in 1996, and they would be the first Portland-based winner in 30 years. "We're always in the mix, but this year is a different feeling, and I think everybody in the state has that feeling as well," Duran says. "We've beat some of the best teams in zones 3 and 4, and I think that's put some of the coaches and teams on notice." The Barbers blend a loaded offense with a deep pitching staff. Six players have committed to college programs. At the plate, the Barbers are averaging 9.7 runs per game. Eleven players have hit at least one home run. "There'll be two or three guys on any given night who will come through," Duran says. "Sometimes, it makes it hard as a coach when you have guys who are playing well not in your starting lineup, but you have to sit down with them and say, 'Hey, there's nine guys in front of you who are hot right now.'" On the mound, Duran says he has five or six pitchers who can start and throw deep into a ballgame. The Barbers' pitching staff is anchored by left-hander Micky Thompson of Century High. The senior-to-be committed to Washington State last week. Duran says righty John Hallman (Central Catholic) is just as good as Thompson. "I don't know which one of them I'll go with for Game 1 yet," Duran says of who he'll pitch in Saturday's first-round matchup. This year also will be the first time the championship is decided in a seven-inning format. American Legion games are typically nine-inning affairs, but Oregon Legion Baseball announced the change in tournament structure this spring. Duran says the new format will benefit the Barbers. "I always play for a big inning, but we now have to play for a run," he says. "With our arm depth, all it takes is for one or two guys to get hot, which I think plays to our advantage." Portland has a number of offensive contributors it can rely on. Leadoff hitter Curran Mitzel, a pitcher and outfielder who graduated from Hillsboro in June, hit 10 triples over the first half of the Barbers' season. 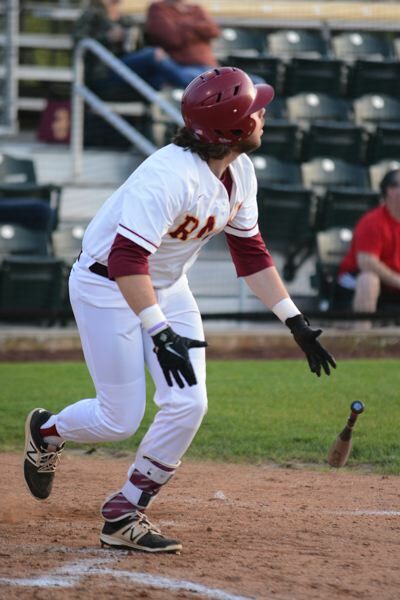 Catcher Dillon McNeil, who graduated from Central Catholic in June, is hitting .511 and will play for the University of San Francisco next spring. Duran says McNeil is the Barbers' on-field leader and is "like having another coach on the field." Duran says lefty Patrick Muskat (Central Catholic) is arguably the Barbers' most dangerous hitter. Muskat, who pitches and plays first base and outfield, is batting above .400 and has nine home runs. "The best attribute about Patrick is his swing," Duran says. "One day before a game, we were taking batting practice at Ron Tonkin Field in Hillsboro and he was hitting balls past the left-field fence and into the softball complex. "I know it doesn't sound like much, but he's a high schooler hitting balls 380 feet." This summer's Barbers squad is younger than any Legion team Duran has coached. Fourteen of 18 players on the roster have at least one year of high school eligibility remaining. Pitcher Mason Schimmel, a sophomore-to-be at Clackamas Community College, is the Barbers' lone college player. The roster features players from Central Catholic, Century, Glencoe, Hillsboro, Jesuit, La Salle Prep, Liberty, Madison and Westview. The Barbers have benefited from an increased participation in Legion ball in the Portland area over the last two or three summers. Duran says he is now taking calls from parents and players interested in the Barbers' tryout process and long run of on-field success. Area 2 had eight registered teams this summer. The number compares favorably to Area 3 and Area 4, which had seven and six teams, respectively. Duran is starting to recruit from more high schools in the Portland Interscholastic League and Hillsboro area. "I haven't lost kids to other Legion or club teams," he says. "Our players also talk, too. I think a lot of the recruiting takes care of itself. Being successful, I think, goes a long way." The Barbers have also faced stiffer competition in Area 2 than in previous summers. Beaverton Post 124, which is comprised of players from Beaverton, Jesuit, Sunset and Southridge, was founded this summer and immediately challenged the Barbers. The two teams split their season series, with the Barbers winning the first game, 7-1, and Beaverton claiming a 13-1 victory in the rematch. "Having some depth in Zone 2 … that hasn't been the case the last few years," Duran says. "It's a positive for the growth of Legion ball in Portland going forward. I really think we can pull all of the best kids from the east side of town in the future." Duran, who teaches at Cleveland and was previously an assistant baseball coach for the Warriors, is motivated to continue growing AAA Legion baseball in Portland. Area 2 faces more recruiting hurdles than Areas 3 and 4. Portland-based high schools also field teams that compete in the Oregon Independent Baseball Association, a summer league comprised exclusively of prep players affiliated with their high school program. The club baseball scene in Portland also is significantly more developed than in Salem and southwestern Oregon cities. Baseball Northwest and Northwest Star Academy, club teams based in Aumsville and West Linn, respectively, recruit the most highly regarded players from the region and have year-long travel squads. A state championship, Duran says, would be huge for the viability and growth of Legion baseball in Portland. "If we bring home that title, I think you'll see more kids become interested in playing Legion ball in Portland rather than playing for a club team or sticking with their OIBA high school team," Duran says. "I've already had a bunch of former players and coaches tell me they'll be in Roseburg this week for the tournament. If we win it, you're going to have a lot of people celebrating." The Barbers will face stiff tests while in Roseburg, though. The Medford Mustangs (37-9), who have won four of the last five state titles, secured an automatic berth in the tournament by winning Area 4. Roseburg's Dr. Stewart's (22-20) claimed an automatic berth as the host team. Roseburg finished third in Area 4 and swept the Barbers in a doubleheader on July 8. "Roseburg is scrappy at home, and Medford has to be the favorite," Duran says. Duran tried to prepare the Barbers for what to expect by scheduling nonleague contests against teams from Areas 3 and 4. The Barbers will open on Saturday against the Dallas Post Dirtbags (33-10), winner of a regional series with North Willamette Valley (14-12). The Dirtbags came in second in Area 3 behind the Mid-Valley Southpaws. "We're going to do it this year," Duran says. "I really believe it. And if we don't, we're going to go down swinging."